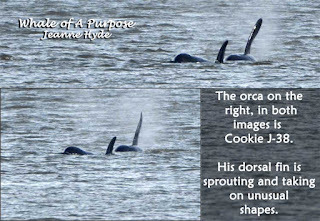 ...it was a good day to see the Southern Residents...but they won't stay unless there is enough salmon...and I doubt that at the moment that there is enough to keep them here very long. 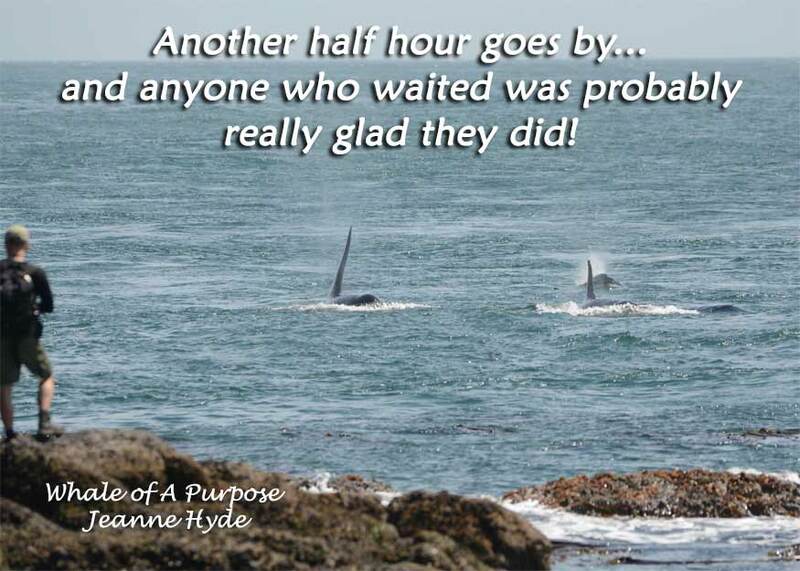 ...it was a stunning day...but how one describes it isn't that easy. 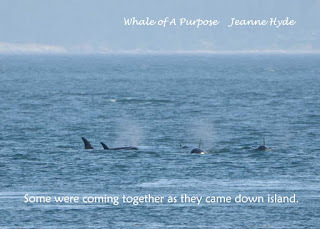 .......moving with an electricity that seemed to come from them to us. 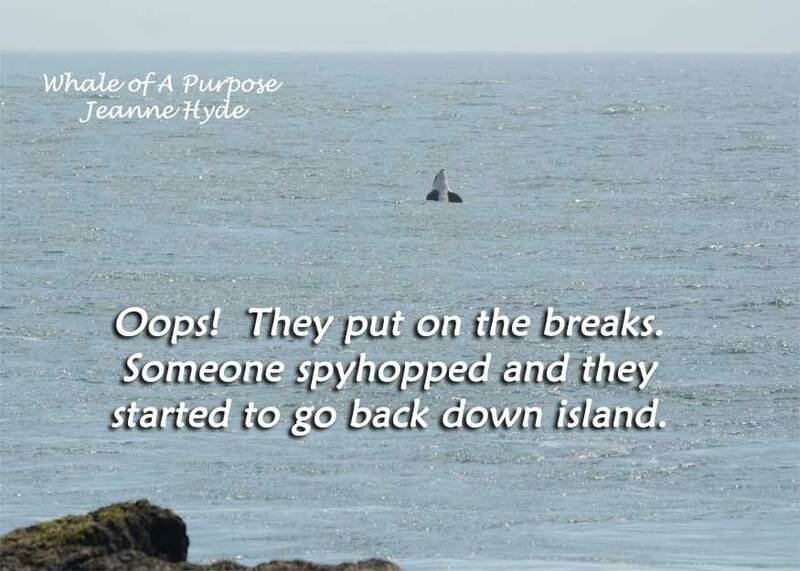 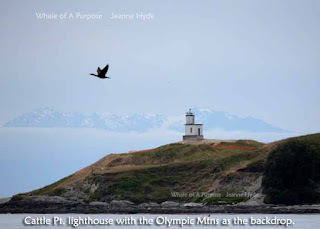 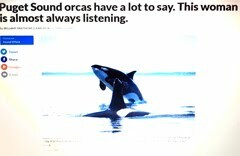 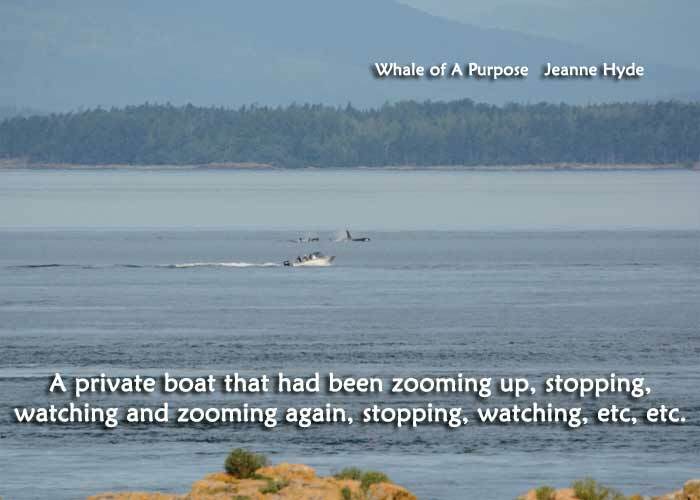 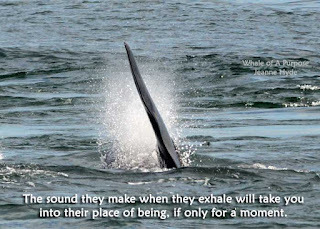 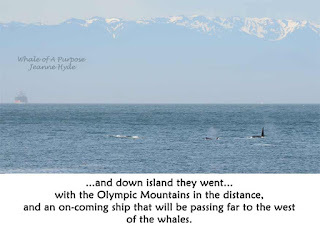 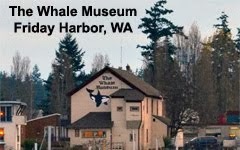 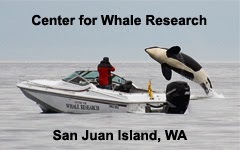 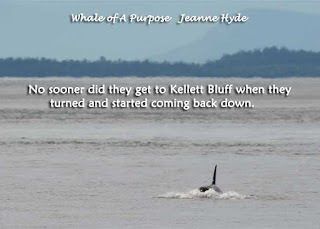 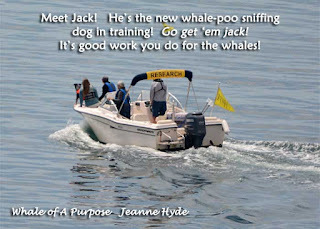 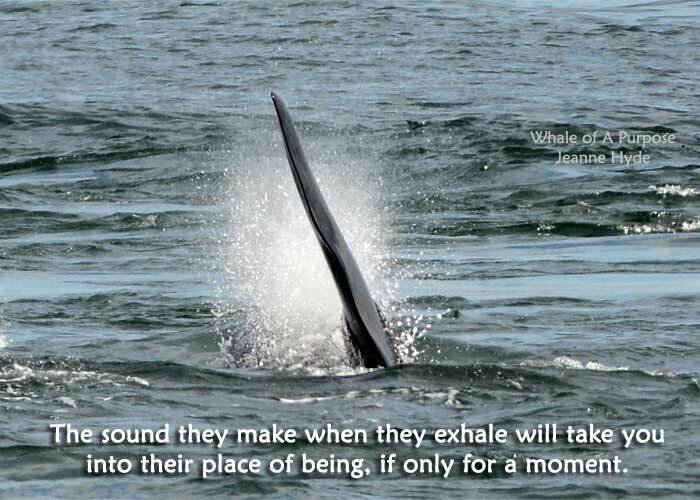 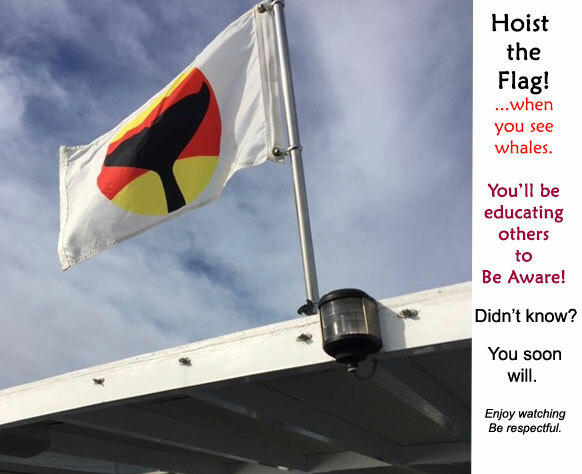 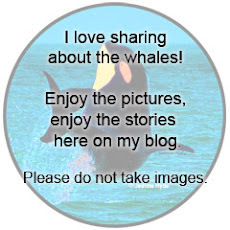 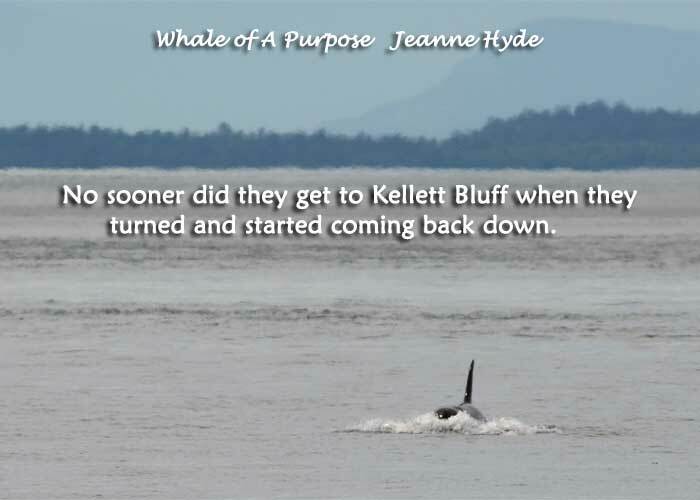 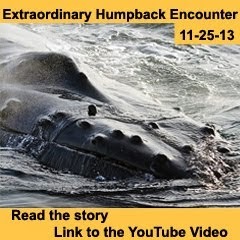 When you see the whales doing what they used to do, after having watched them for the last few years in a very different and concerning way, it brought this person hope - hope for the whales. 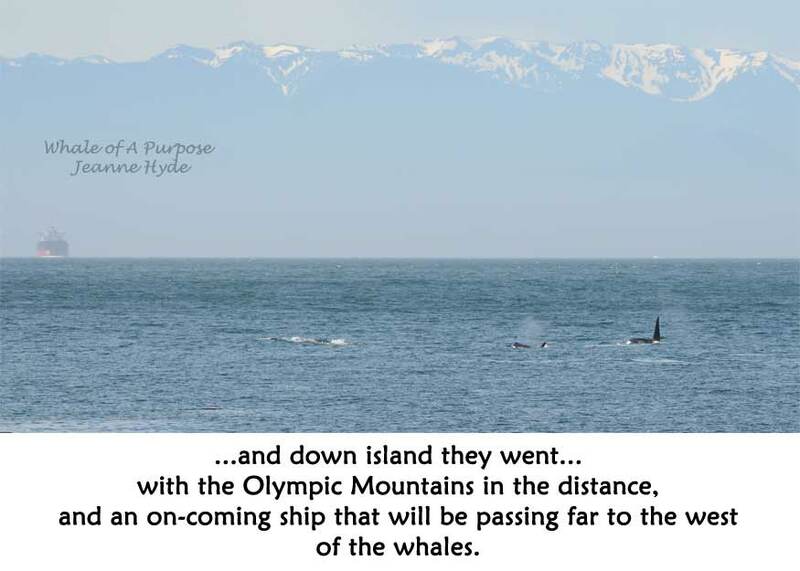 But in reality it all has to unfold and may it please unfold for them with salmon, salmon, salmon - that is what they need - more than anything. ...and tomorrow? 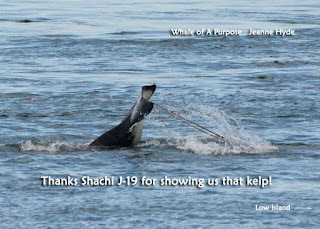 MORE SALMON PLEASE! 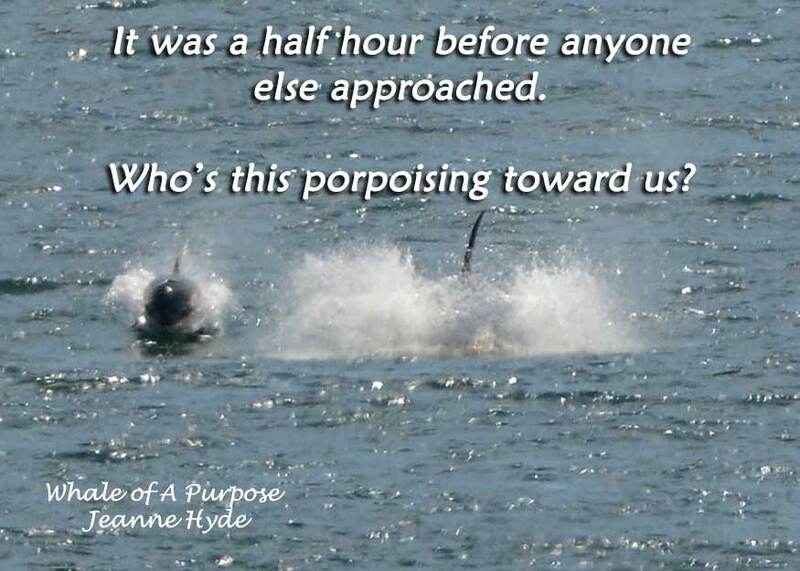 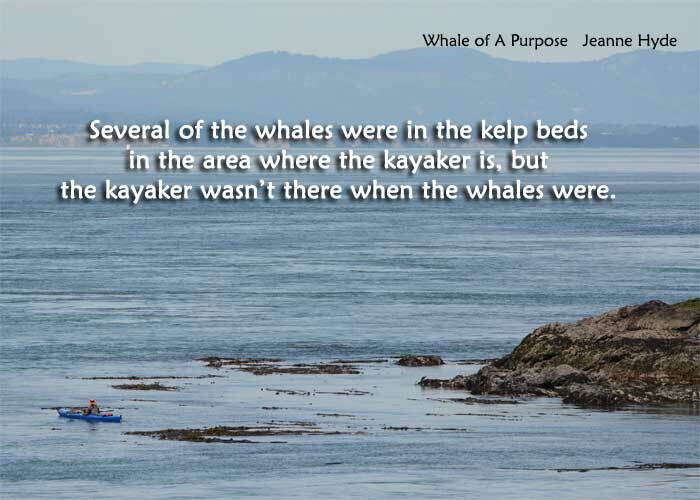 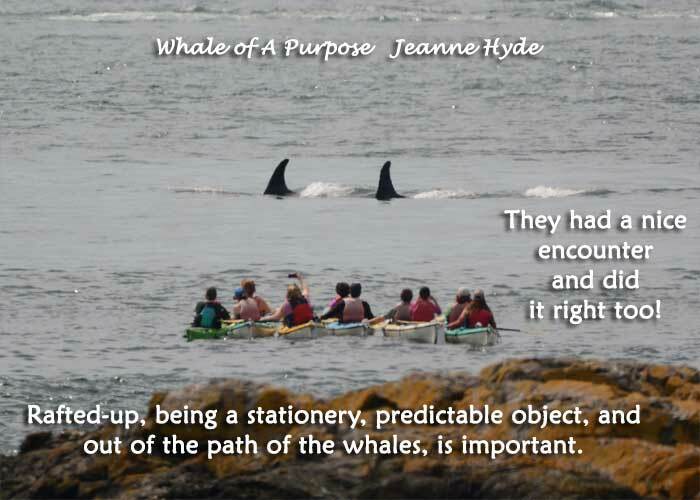 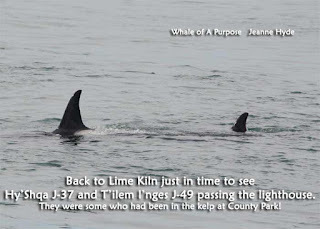 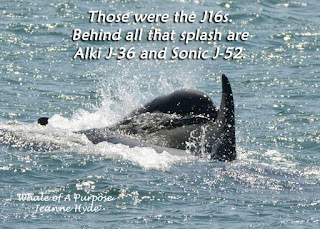 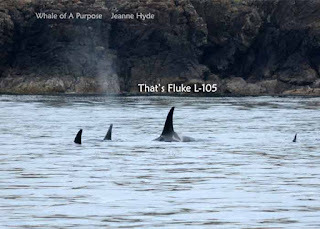 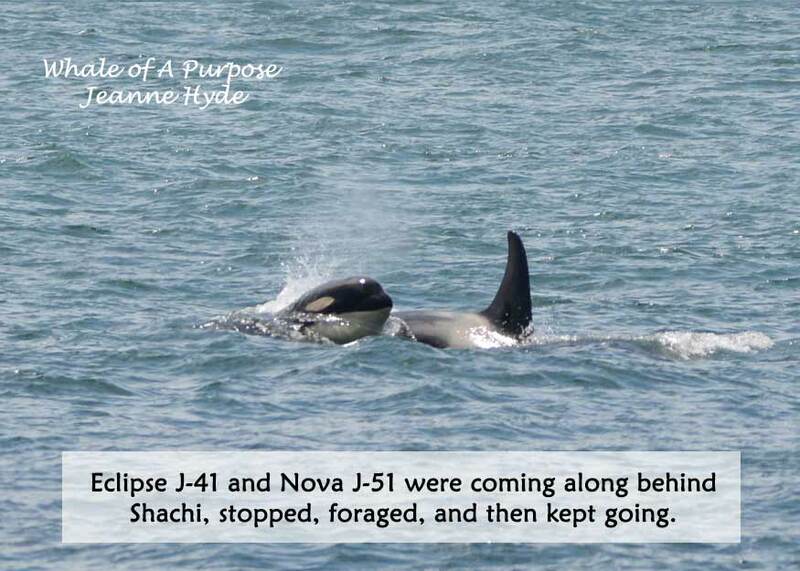 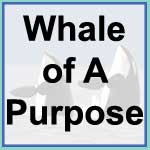 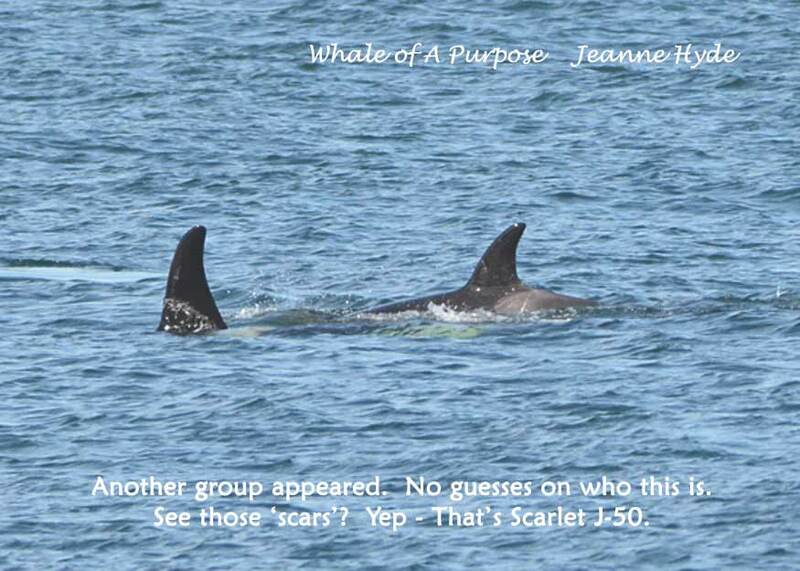 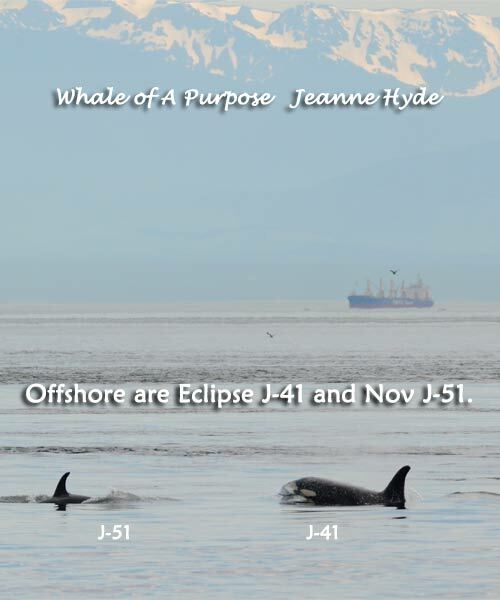 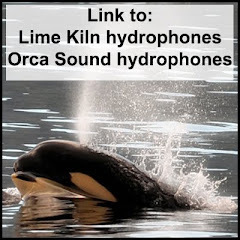 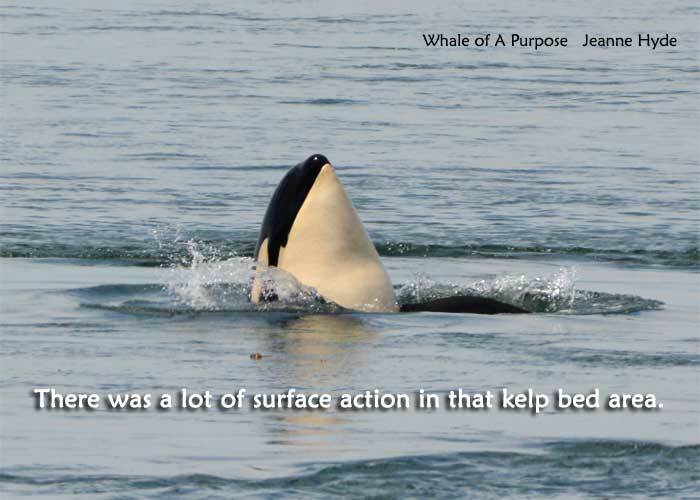 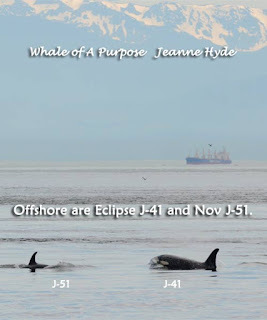 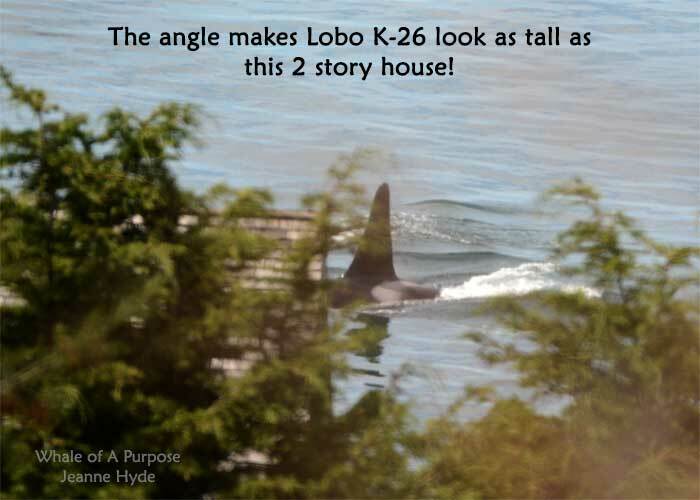 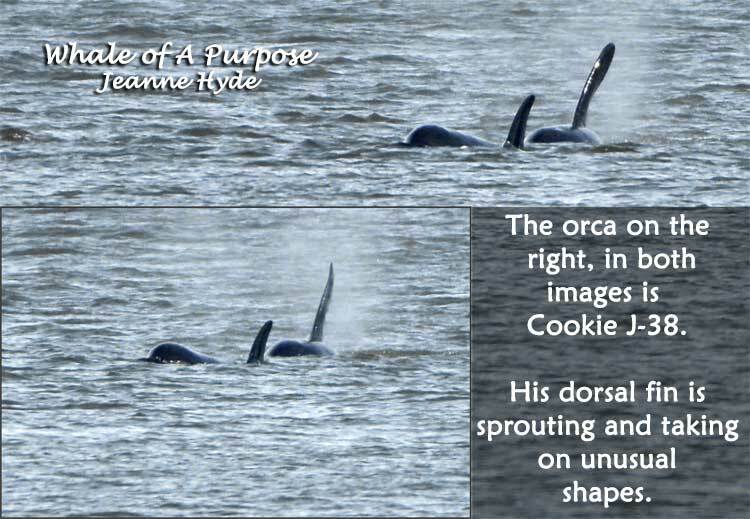 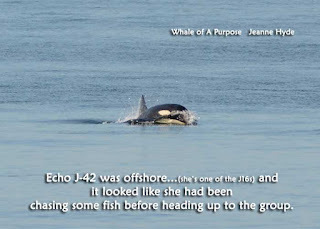 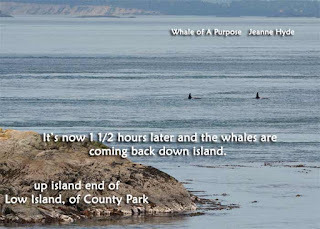 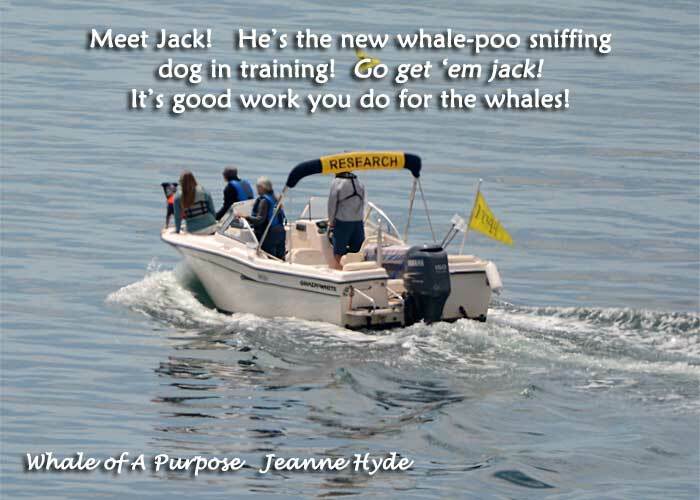 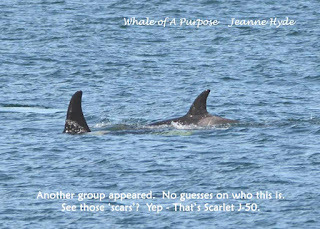 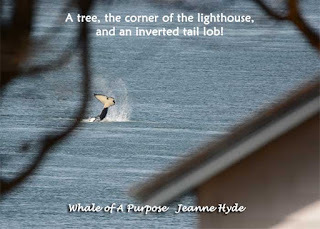 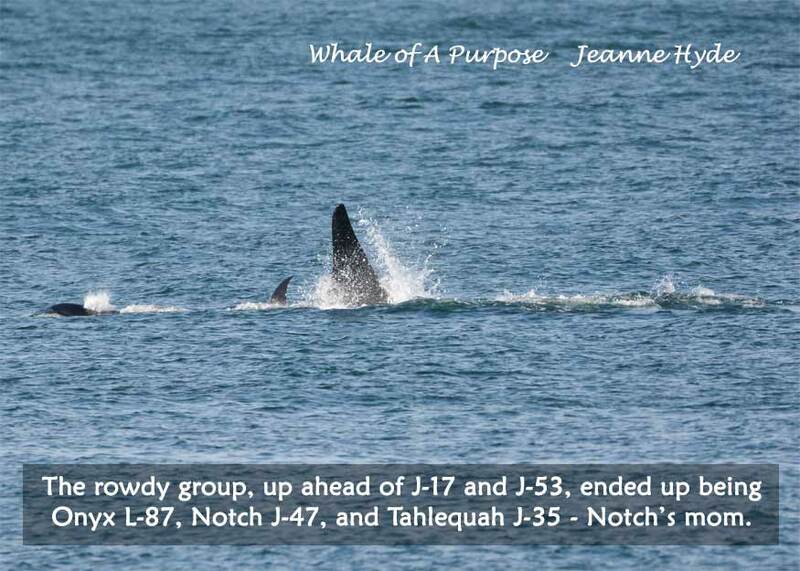 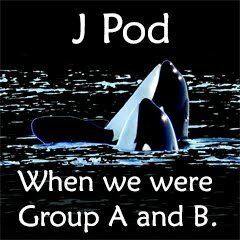 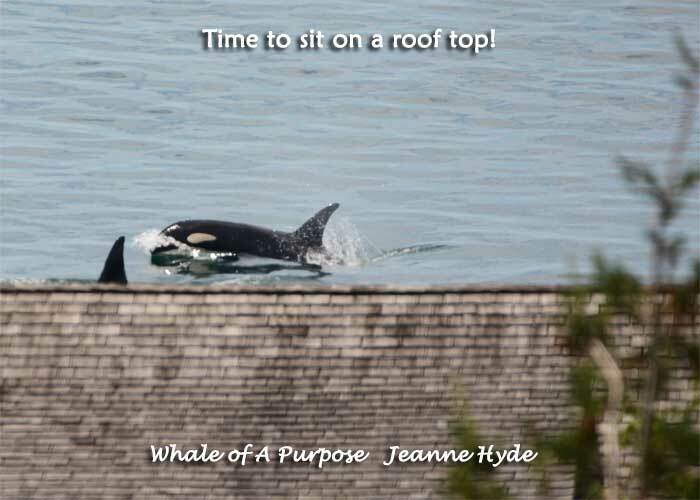 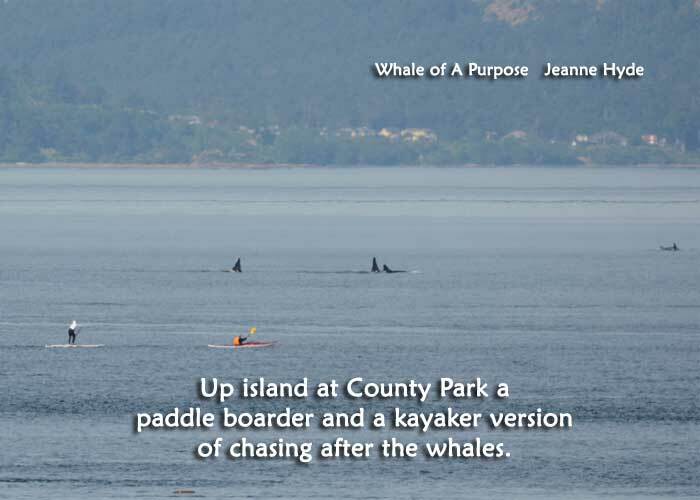 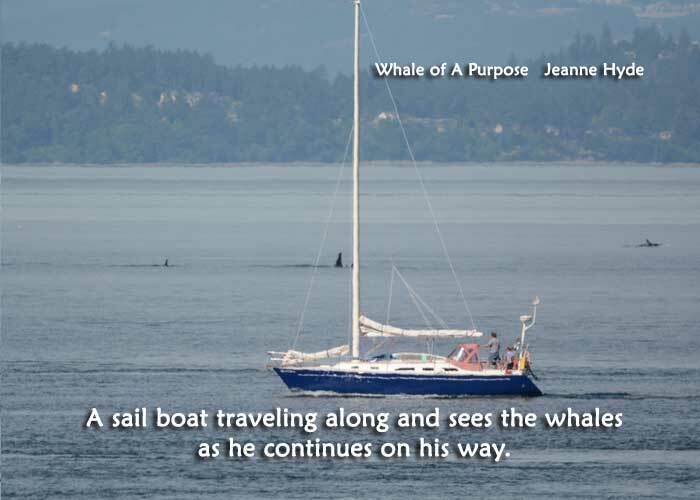 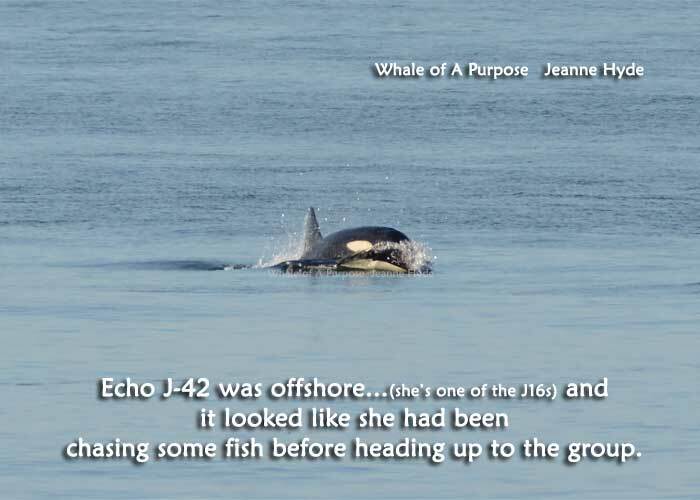 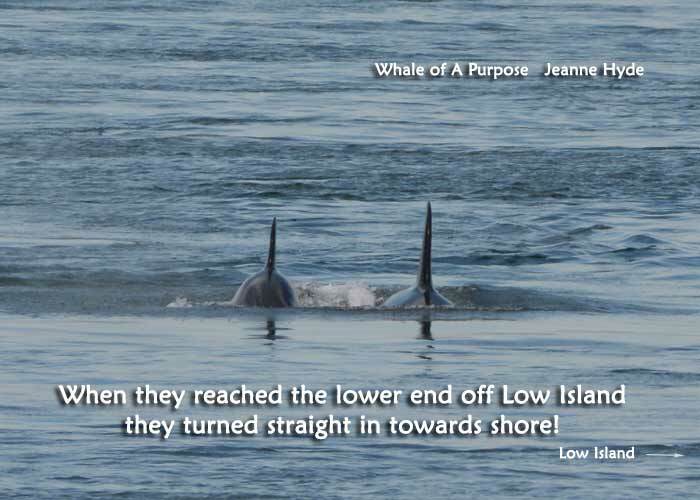 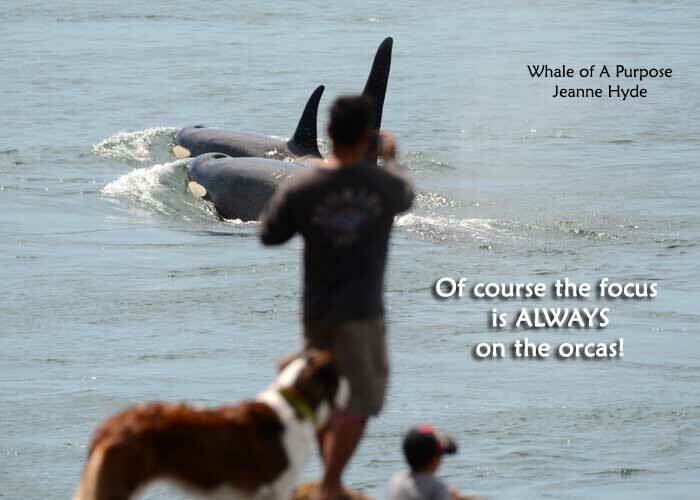 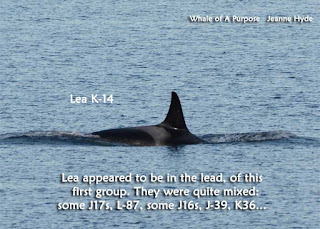 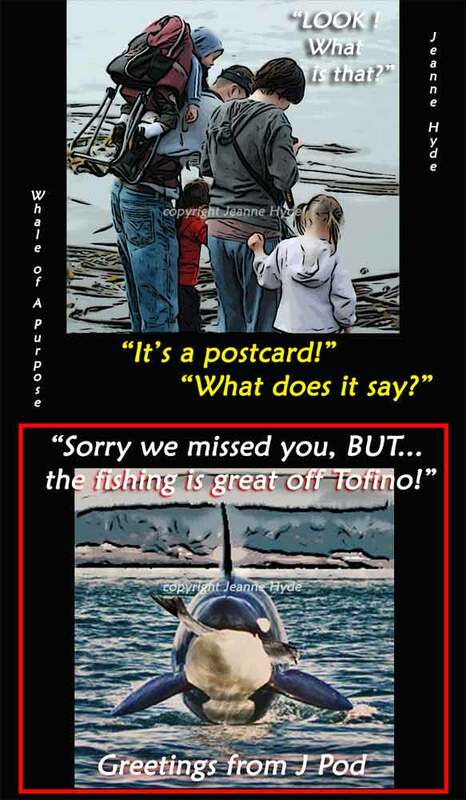 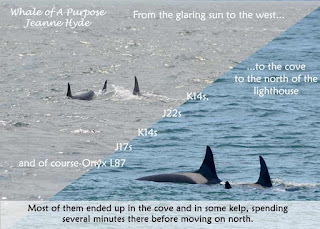 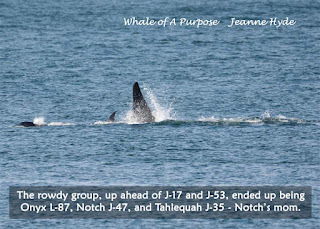 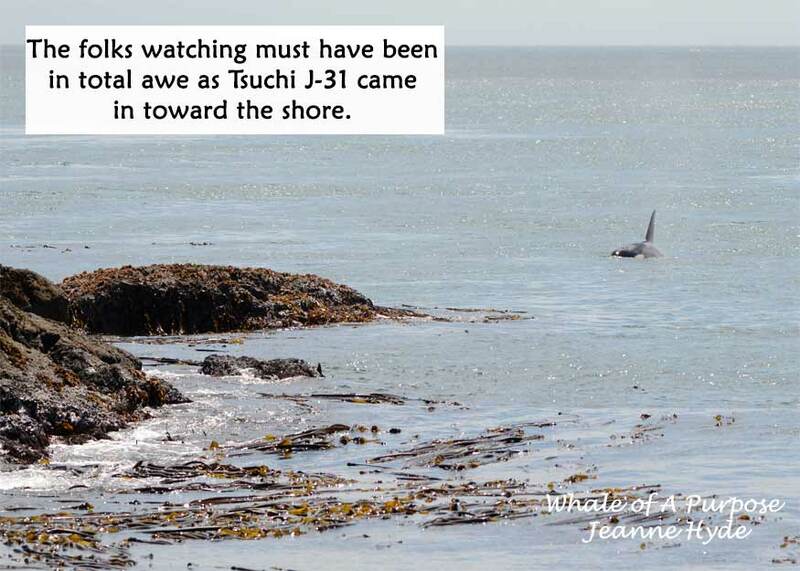 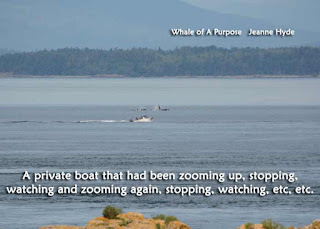 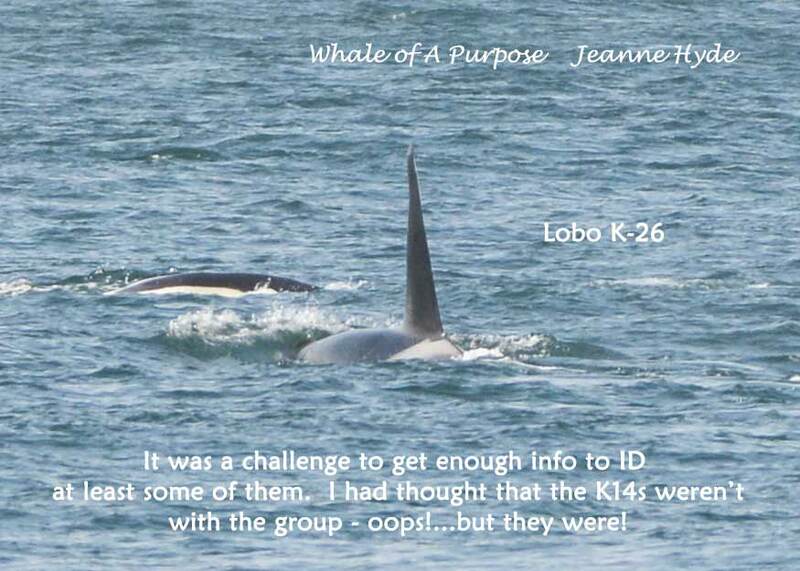 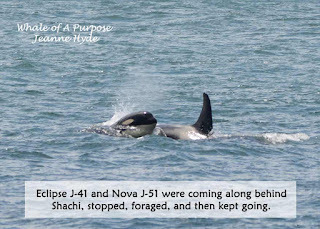 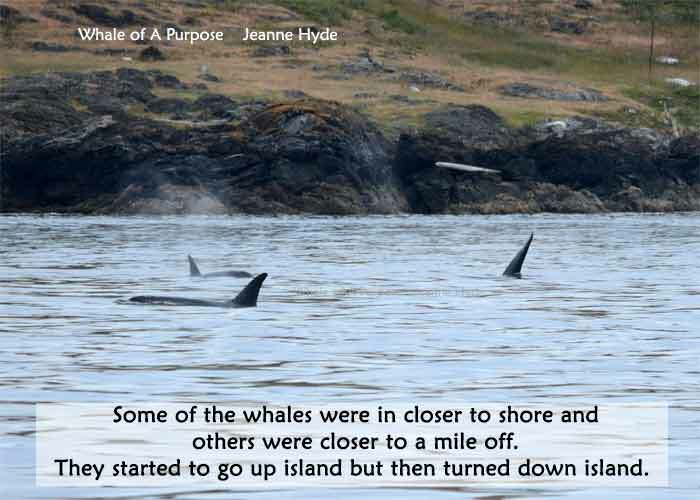 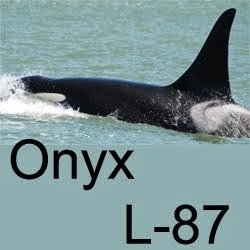 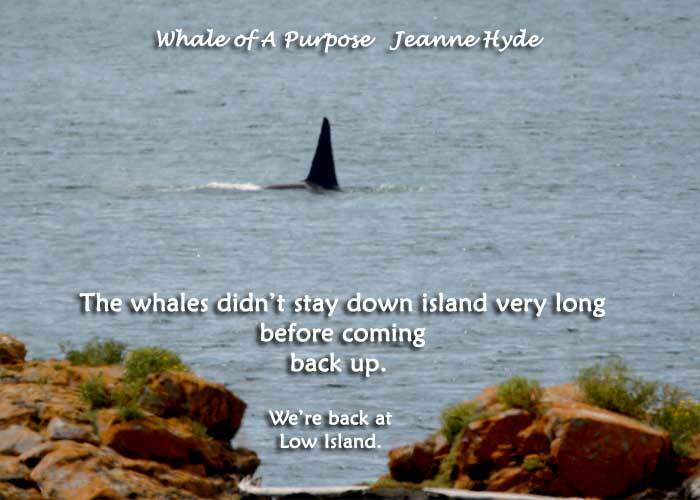 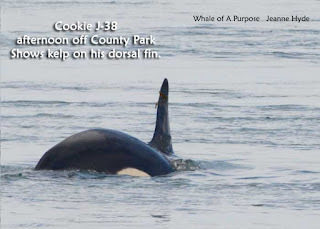 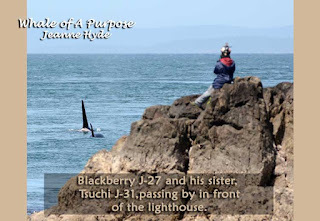 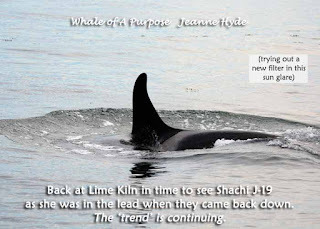 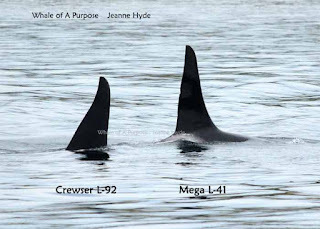 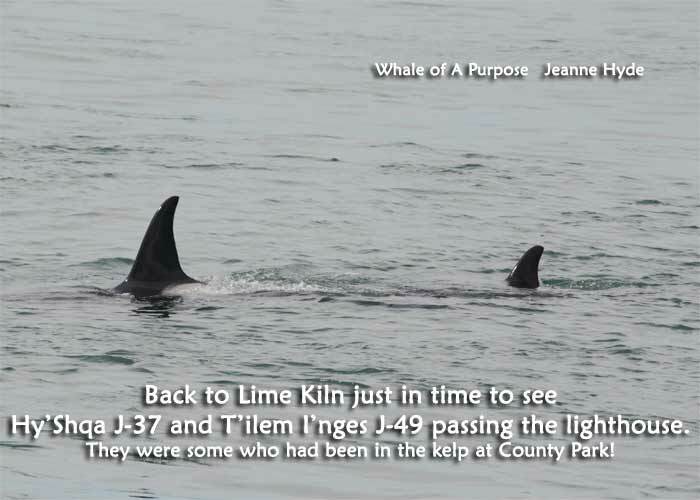 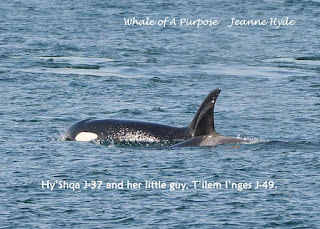 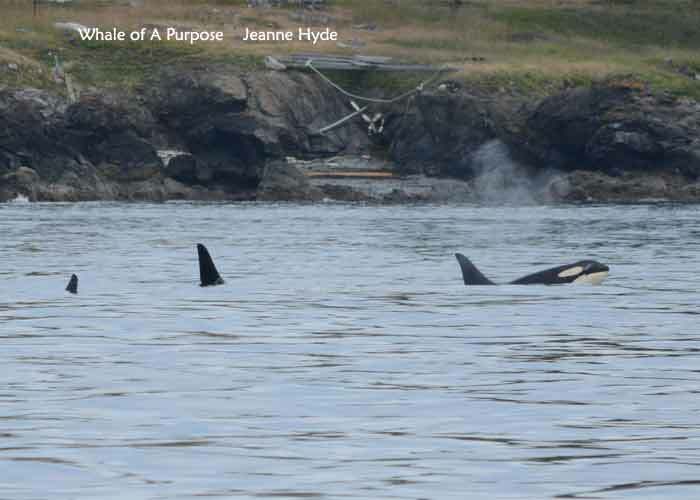 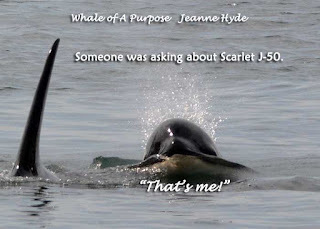 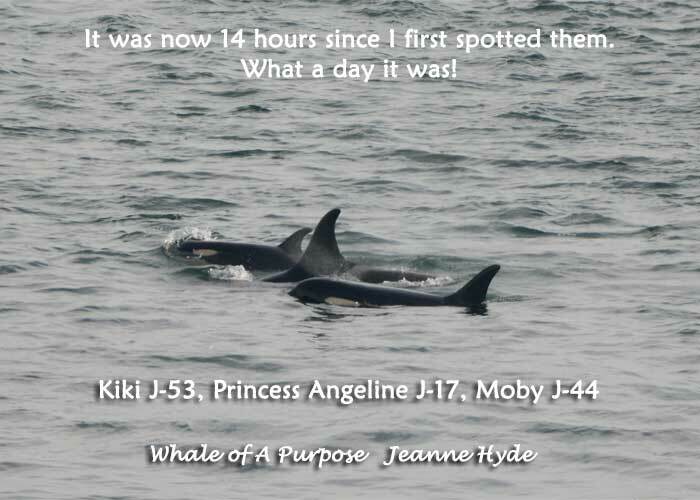 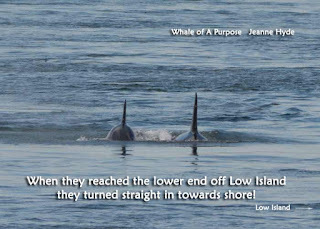 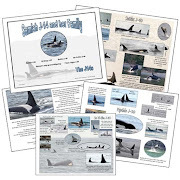 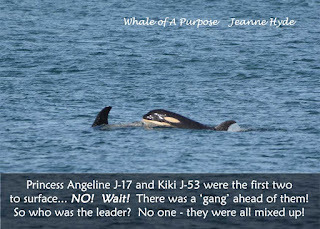 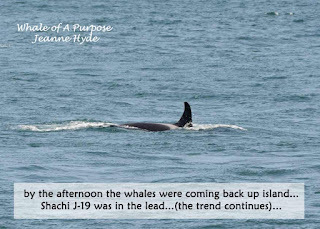 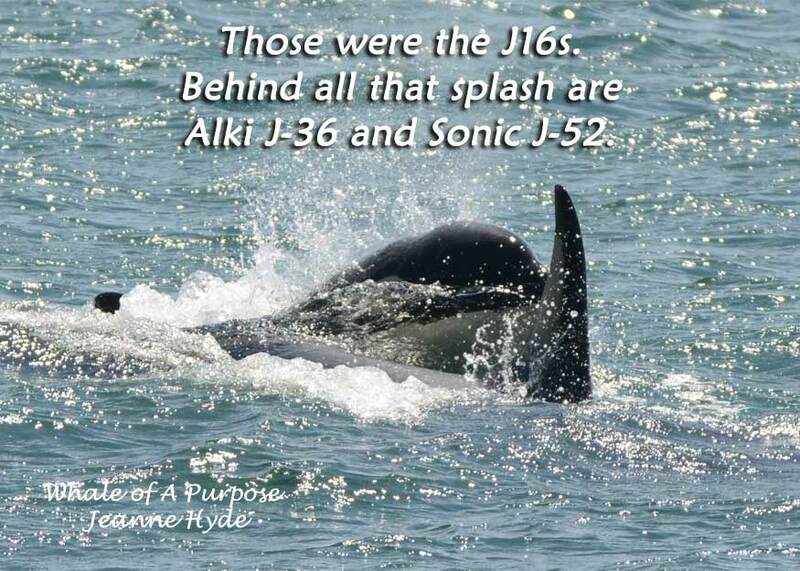 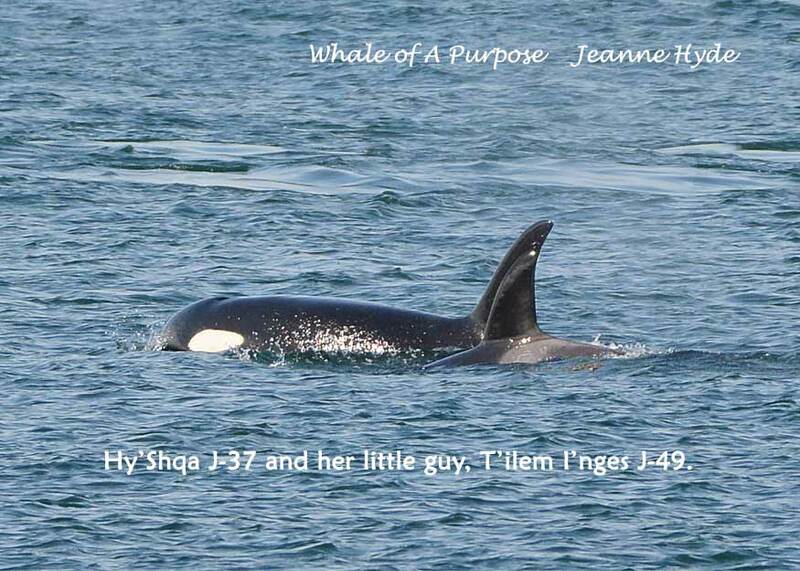 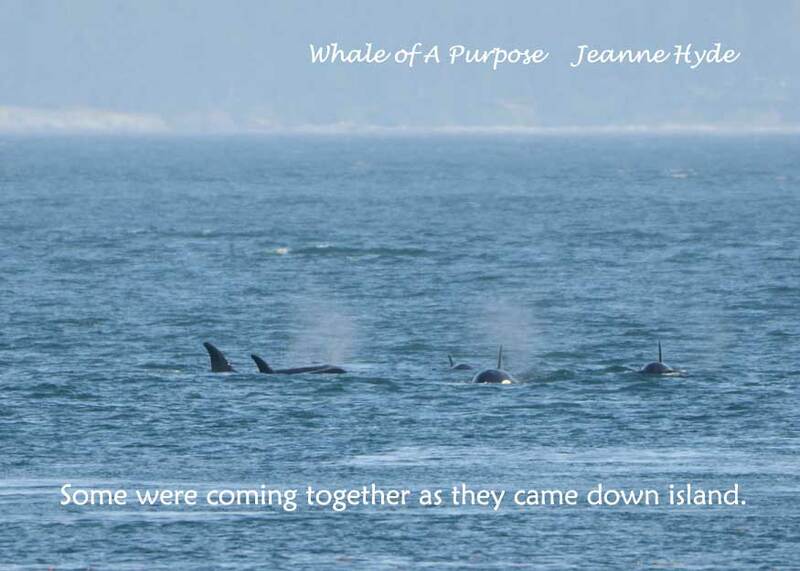 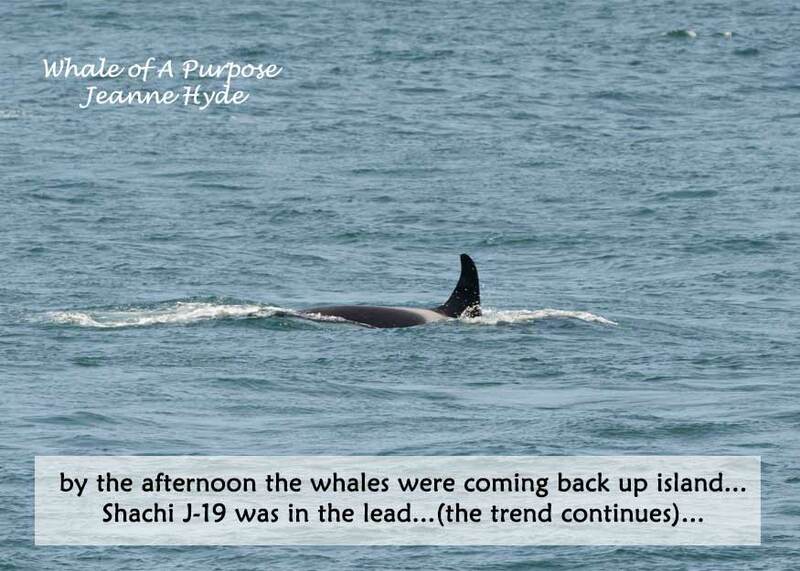 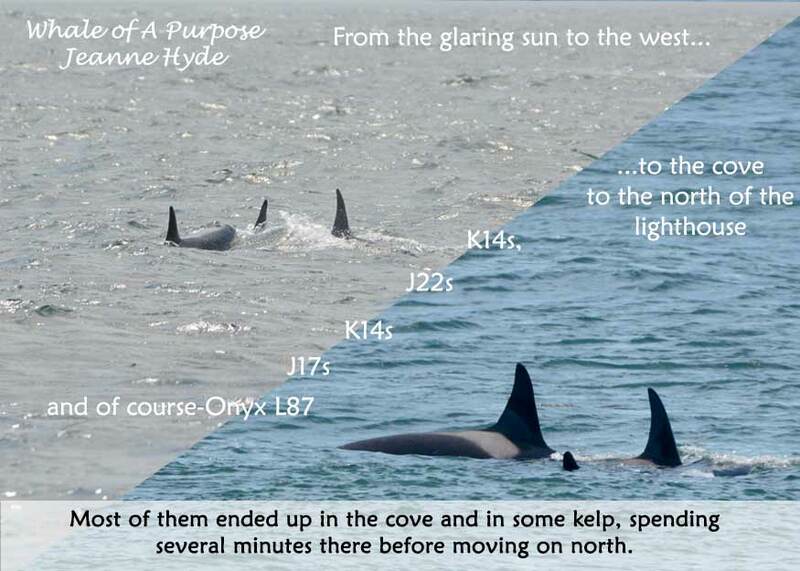 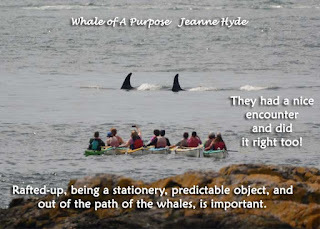 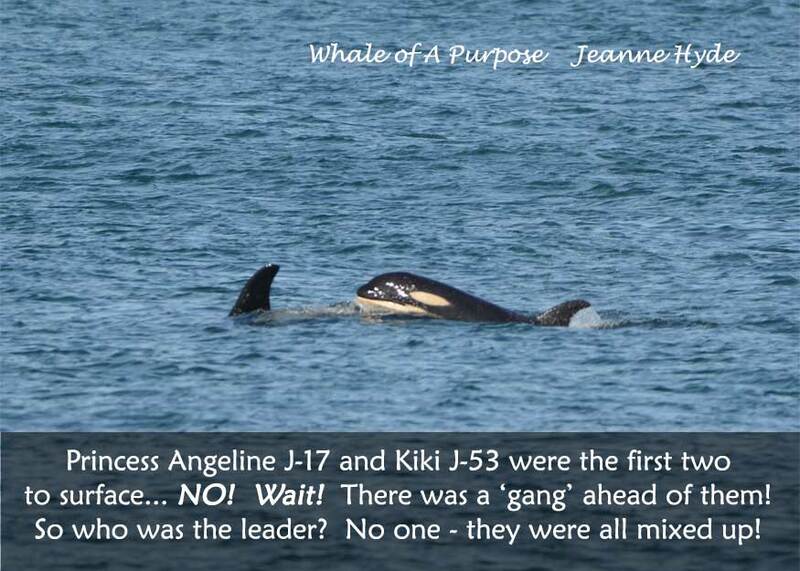 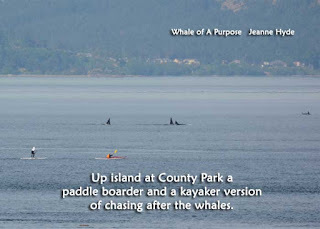 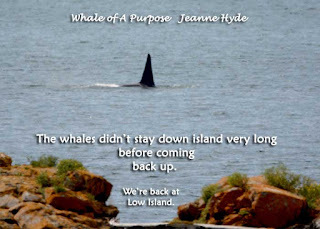 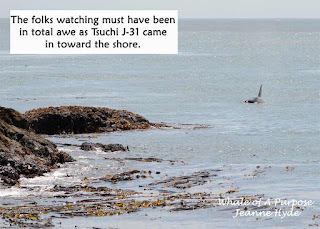 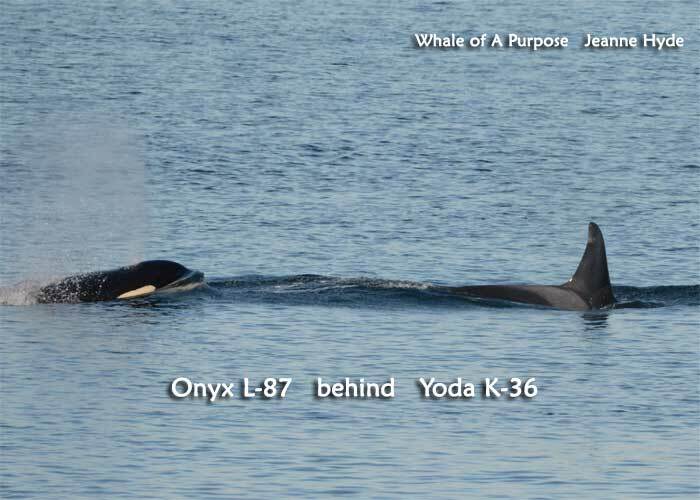 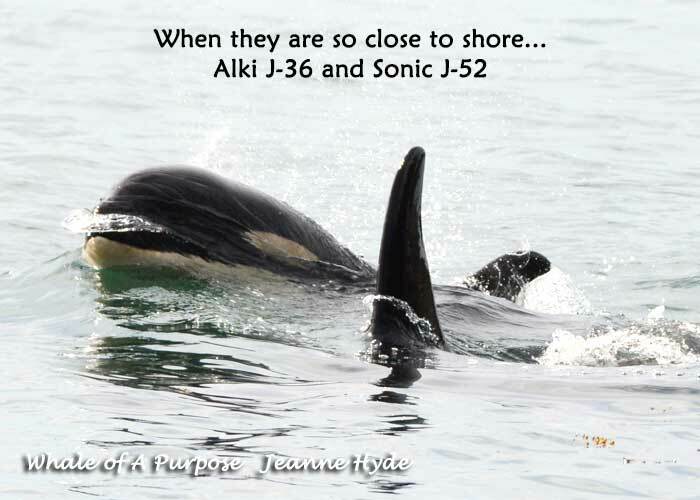 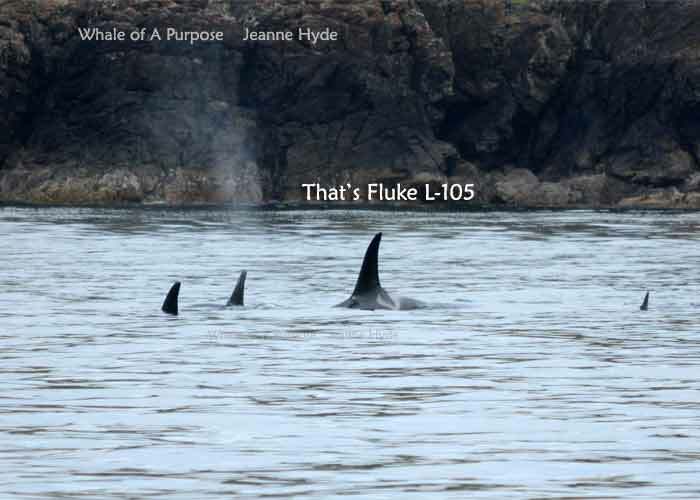 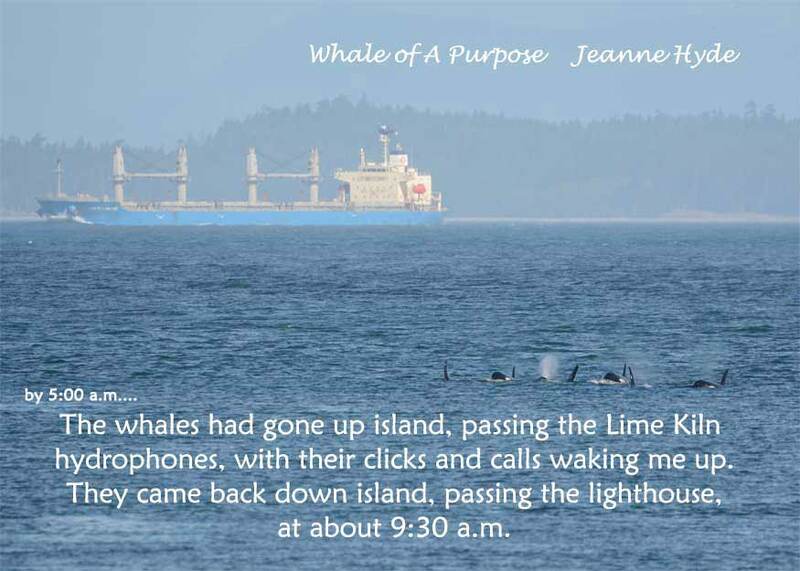 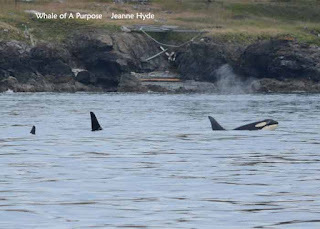 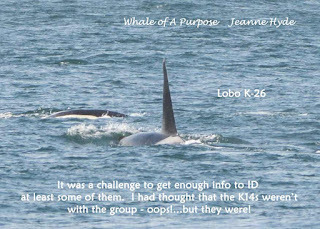 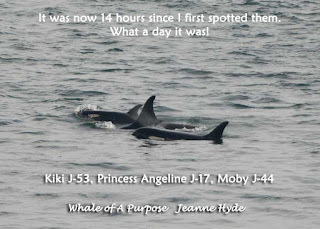 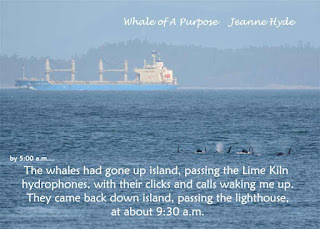 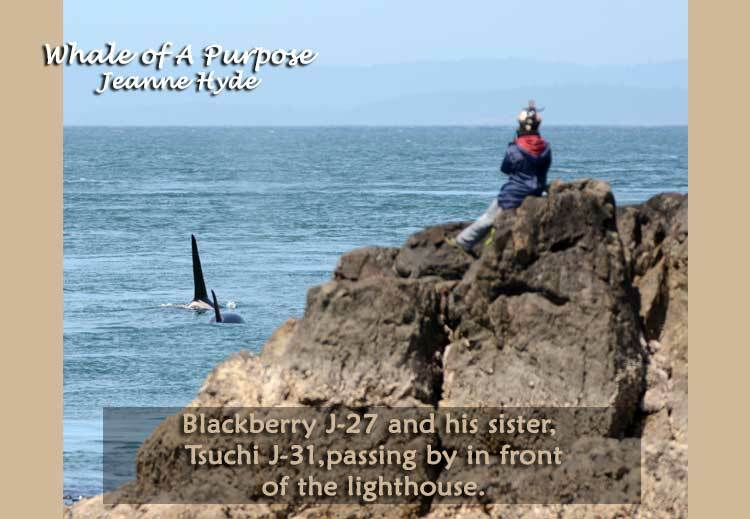 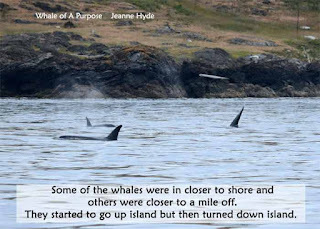 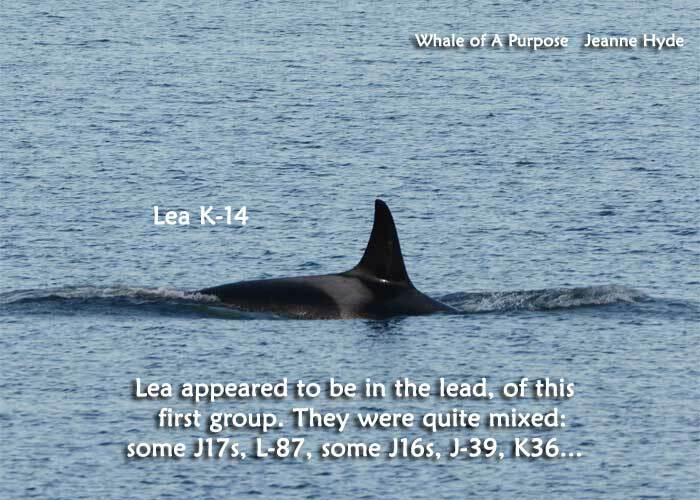 ...thanks to one or more of the whale watching companies in Tofino...J Pod was encountered twice in the last week! 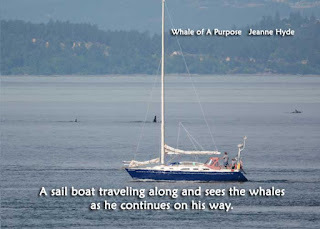 Thanks Capt. 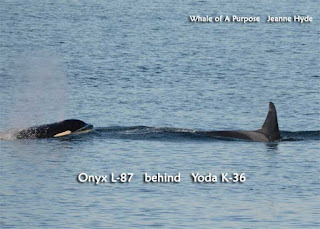 Dennis and the Western Prince!